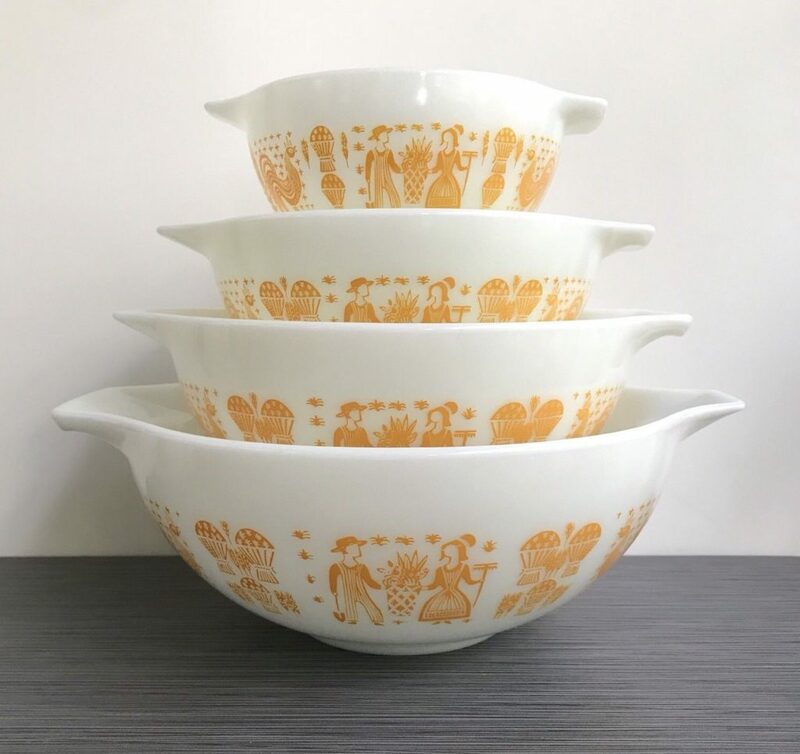 Depending on your age, you may or may not remember these Pyrex dishes in your moms or grandmothers kitchen. They were made of borosilicate glass by Corning back in 1915. Part of their charm was their colorful images, but they could also take a fair about of abuse! The were made to withstand thermal shock (go from very hot water to very cold water) without breaking. in 1998 however Corning sold the brand to World Kitchen LLC. World Kitchen unfortunately decided to end the process of manufacturing the dishes with borosilicate glass, and instead all the Pyrex was then produced with tempered soda-lime glass. Because soda-lime glass is not as durable, and does not handle heat as well as borosilicate glass, the product lost some of its panache. Because of the change in manufacturing, original Pyrex from Corning is in high demand due to its superior functionality, bold festive colors, because it’s made in America, and it’s one of those things that people say are better than things made today. 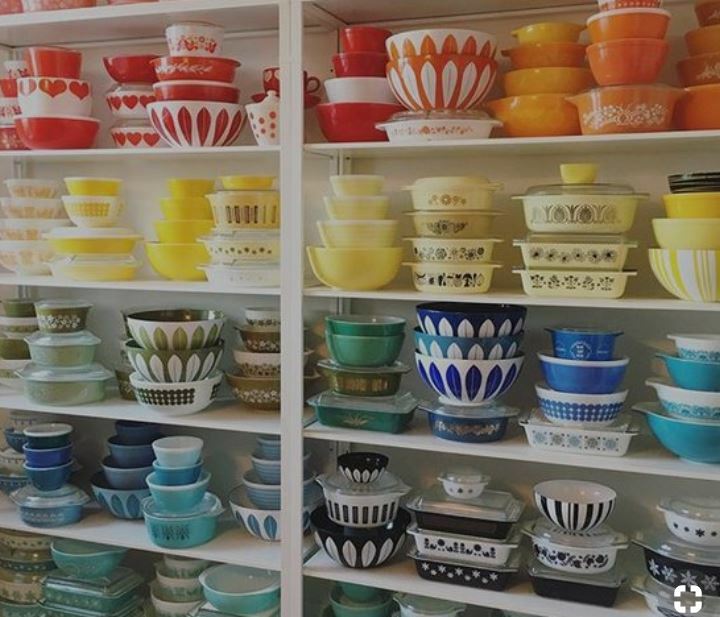 There are a few companies that are knocking off the style of Pyrex from days gone by. They’re affordable and the fun colors bring cheer to any kitchen. Every year that goes by makes the original Pyrex more difficult to find (in good condition) so if you are thinking of letting your Pyrex go, we can find a great kitchen for it! Contact us if you are a seller of vintage or antique items. We also have expertise in fine art, fine jewelry, classic cars, rare coin and stamp collections.